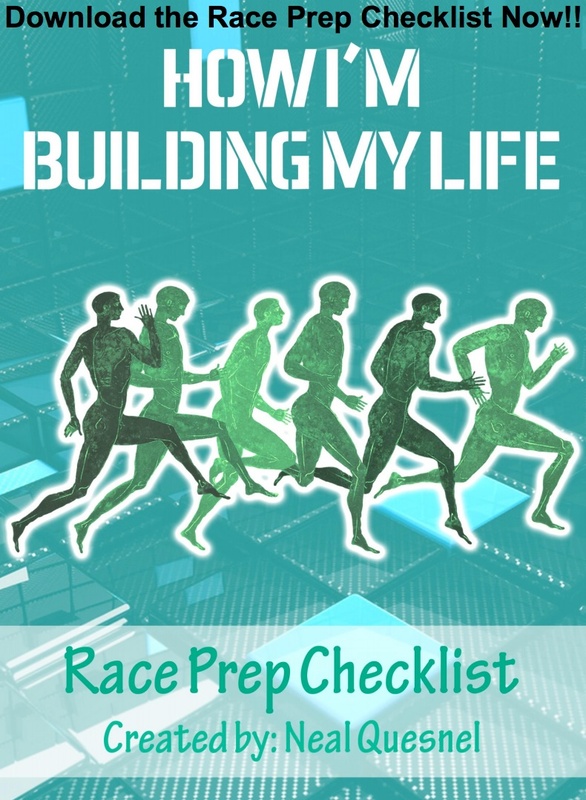 After today you’ll stop being intimidated of running 3.1 miles and ready to conquer your first 5k with the training schedule that I’ll outline for you. 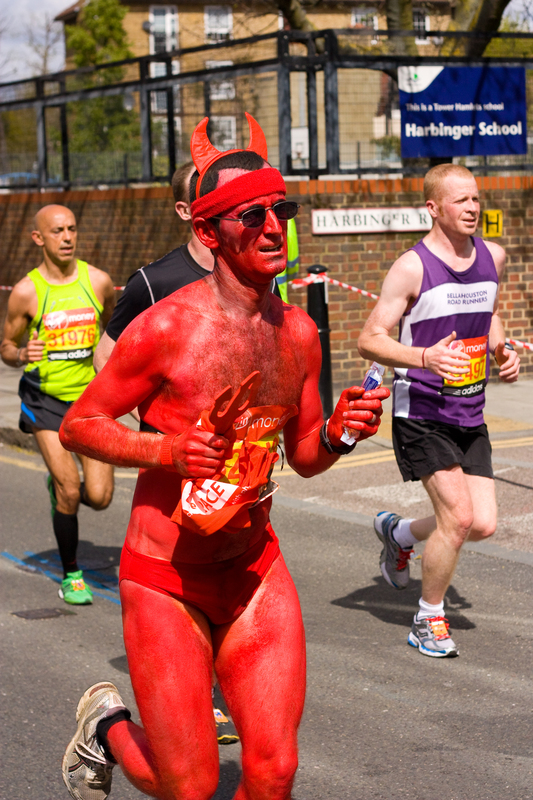 I used to hate running and pretty much thought it was the devil. “Why would anyone want to suffer through 20 straight minutes of running?” I would think. From that mindset to completing 5 marathons, I’ve come a long way and am here to tell you that you can do it too! You don’t have to start with a marathon of course, a 5k is enough for you to catch the running bug. Together we’re going to get you there! First, let’s set something straight, if you’re looking for a workout to get you to the next level of your running, stop reading now, this training plan is for beginners in order to get them to the first level of their running careers. 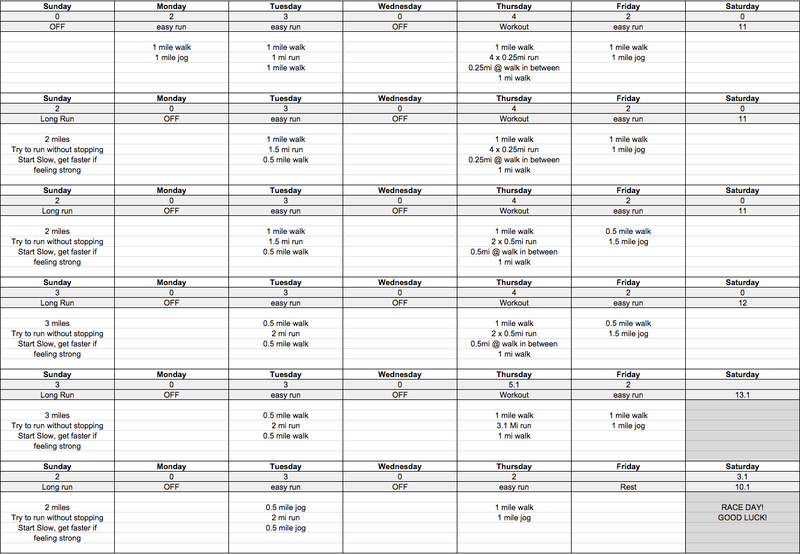 As you look at the schedule below you might compare it to others and say that it’s a little light on mileage. That’s true. I’ve assumed a zero mile base and just want you to get into the habit of putting, mostly light, miles on your legs. Let’s take a look at a few things that you should know before you embark upon your training. Natural pronation? Over pronation? Under pronation? What the? Don’t worry yourself with all of the intricacies of how your foot lands. 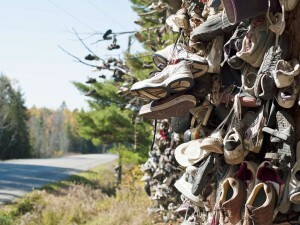 Head to your local running store, they can help determine and outfit you with the shoe that fits your foot the best. You can run in any pair of shoes if you really want to, however as your feet get used to the friction of running they should find some comfort. You’re going to be nervous on race day. Where do I go to enter the race? Do I have everything I need? Am I prepared!? Will there be somewhere to pee? Ease your worries by showing up at least an hour early. You’ll be able to put all of your worries behind you and focus solely on the race if you get all of your affairs in order well ahead of the start of the race. Slow Down! You’re not going to win! 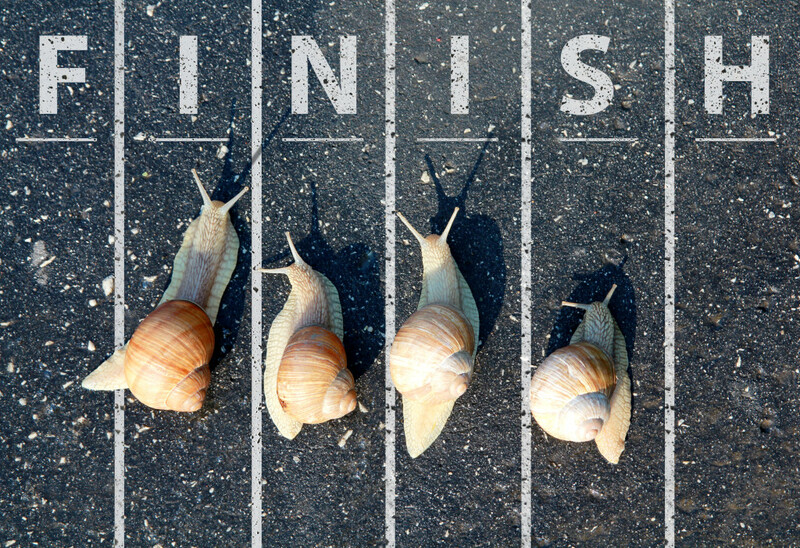 Sorry to be the bearer of bad news, but you’re not likely to win your first 5k. Since you’re not going to win your first 5k, you might as well not burn yourself out in the first mile. If you’ve run your training runs at 10:00 per mile, trying to go out at 8:00 per mile probably isn’t in the cards and you’re just going to get burned out. I’ve written about the power of focusing on negative splits during the marathon, and it’s no different here for the 5k. Also, beware that you’ll have your adrenaline pumping and there will be runners flying past you. The best part about this time in the race is that a lot of the people who fly by you will be dying come 2.5 miles and you’ll be easily running past them as you near the finish line. Stick to the plan and you’ll be fine! Walk – This means walk! It’s there for a reason and it’s so that you can either warm up, cool down, or gain the proper recovery in between sets. Jog – This is a super light run, slow and steady wins the race as far as jogging is concerned. It’s to get the blood flowing a little bit more, but not push yourself. Usually I reserve the jog for easy runs the day after a more difficult run. Run – Running should be just a shade below the pace at which you want to race. It’s not a full out sprint, but it’s not a laid back jog. Find somewhere where you’re pushing yourself a bit, but not to the point where you are gasping for air. You’ll notice that on Thursday’s you’ll have a Workout. This could be the most important day of the week for your training, so I highly recommend not skipping that day, or at worst, moving it to another day during the week in order to get it in. As with any new undertaking you’ll have questions, so let me know what they are in the comments below and I’ll get you the answers you need!